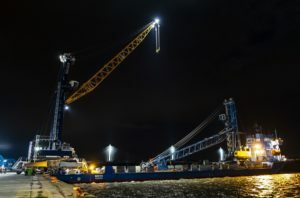 The Port of Rosyth, Scotland’s best connected port, has welcomed their new Liebherr multimillion pound mobile harbour crane (model LHM 550) as part of a major investment programme at the port for bulk handling primarily for Cefetra. Liebherr is one of the world’s leading port crane manufacturers and this new crane is a state of the art mobile harbour crane with a powerful transmission and advanced electronics for bulk handing. The 439 tonne crane arrived on board the MV Meri over the festive period and was rolled off the specialist vessel directly onto the quayside during slack tide [NB: see images and timelapse video with this release]. 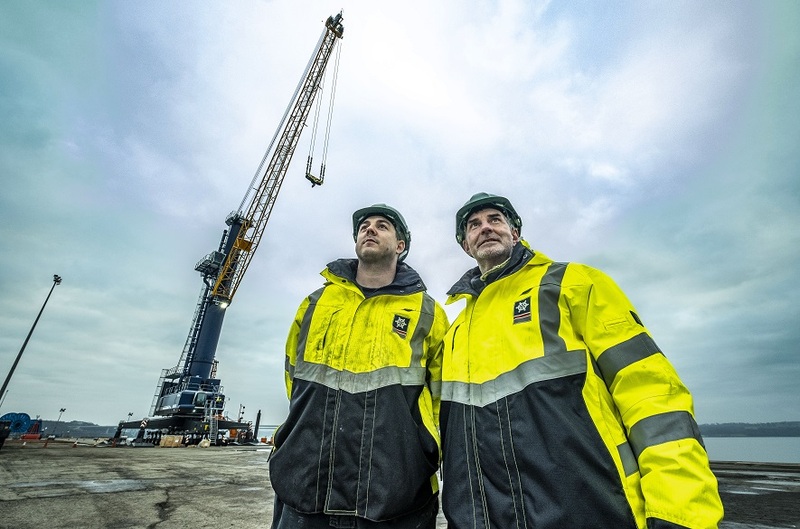 The crane operators at the port have been fully trained and the crane is now in operation. Here is a time-lapse video of the arrival of the crane over the festive period. Time-lapse video of the arrival of the crane.